Creationist Indiana state Sen. Dennis Kruse wants students in Indiana schools to demand scientific evidence for anything they doubt. His stated intent is to get Creationism into the classroom, along with Global Warming denial. But what happens when the students demand evidence for Creationism? I find Creationists endlessly fascinating and endlessly amusing. I collect instances of how much science they have to deny and claim to be part of the conspiracy against Jesus in how many areas. I summarized my findings on my education blog the last time a Creationism-in-the-schools bill was proposed in Indiana. I wrote to the Indianapolis Star newspaper to express my feelings on hearing of this proposal. An edited version of the letter below appeared in the paper yesterday, and was well received, except of course by the wacko Creationist commentator who totally missed the point. Also published on Daily Kos. As a reality-based educator working with the One Laptop Per Child program worldwide, I must applaud Rep. Dennis Kruse’s misguided attempt to bring Creationism into the classroom by demanding critical thinking of students. (“After creationism bill failed, Indiana senator will push ‘truth in education’ measure”) Sen. Kruse’s bill proposes that any student will be able to challenge any scientific statement made in a classroom, and demand evidence for it. I am delighted at the thought of Hoosier schoolchildren demanding research papers from Creationist schoolteachers or fellow students. I even prepared a list of questions that they can use. I didn’t know that they would come in handy this time. I was merely laughing at the last Indiana legislator to try this on, and at his willfully ignorant supporters. It warms my heart to think of little children asking for the research proving that Quantum Mechanics does not work inside the sun, so that it has not been fusing hydrogen to helium and thus shining for billions of years, or the explanation for being able to see stars and galaxies so far away that their light has taken millions, even billions of years to get to us, and how it is that we have more than 10,000 annual layers in deep ice cores from Greenland and Antarctica. For starters. I have a million of them. Perhaps Sen. Kruse supposes that because all Global Warming models are wrong, that this disposes of the entire theory, and all the facts about warmer, more acid, rising oceans; about melting glaciers, permafrost, and sea ice; and about warmer air, with more and bigger storms that cause worse flooding because the ocean starts off a foot higher, and with more and worse droughts. Yes. I said that all of the Global Warming models are wrong. They are all wrong. Global Warming is worse than any of them predicted. The errors in our understanding of such a complex system as the global climate do not mean that warming is a figment of scientists’ imaginations, or “the Kool-aid of the left wing Liberal conspiracy” as some would have it. It means that we missed some kind of feedback that is resulting in more warming, more melting, more acid ocean water, more dying corals, and more of all the rest. You want evidence? How high do you want it piled? Perhaps Sen. Kruse is unaware that we have a century and a half of research on Natural Selection, genetics, and molecular biology to back up the facts, already evident before Charles Darwin, of evolution. Again, how high would he like the evidence piled? And what does he have on his side? A basic idea of the Prussian system of education starting in the 18th century was the application of factory automation principles of production efficiency from the Industrial Revolution. In this system, every student would learn the same lesson from the same textbook on the same day. Teachers were to be trained only to be able to present the lessons as written, not to have any deeper understanding of the subject themselves. Although this is no longer the driving principle of education systems in many countries, teachers are still undertrained, and still under heavy constraints imposed by curricula and standardized testing. In addition, teachers are mostly on their own when creating lesson plans, particularly in the problem of adapting existing lessons to the abilities, prior knowledge, and learning styles of the children in their classes. It does not have to be so. I have a notion of a global collaboration among teachers to find the best ways of teaching, even when those methods are not part of the curricula imposed from on high. But to get there, we must start on a smaller scale. It turns out that Japan has a working model for this, which is now being brought forward in the United Kingdom by Stephen Twigg, the shadow education secretary in the British Labour Party. It has two components, known in Japanese as kounaikenshuu (校内研修 in-school training), for lifelong professional development organized by the teachers themselves, and jugyou kenkyuu (授業研究 lesson study), for collaborative lesson planning. For those who are not familiar with British parliamentary practice, I must explain that the shadow education secretary shadows the actual education secretary in the ruling party (currently the Conservatives), as others in the opposition party (currently Labour) shadow the rest of the government, that is, ministers and secretaries in the ruling party. Shadow ministers and secretaries are, among other things, responsible for putting forward alternative policies, which can become issues whenever there is an election. This idea of using Japan as a model did not come into the UK out of nowhere. For example, here are two books that raise these ideas strongly. England’s schools should take lessons from Japan and the Far East on how to improve performance, the shadow education secretary says. 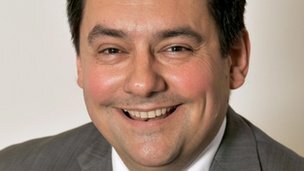 Stephen Twigg says despite many school reforms, there has been little change to the style of classroom teaching since Victorian times. Labour’s number one priority for education is raising the quality and status of teachers, he says. And he plans to visit Japan to see how education has been reformed there. This will form part of Labour’s review of its education policy. Along with other Far Eastern countries, such as South Korea and Singapore, Japan constantly outperforms England in international studies on maths and science. This is something that has been highlighted by Education Secretary Michael Gove. Mr Twigg says that although Labour improved results in the core subjects during its time in office, it was clear that “more of the same isn’t the answer”. He added: “We must learn from high-performing nations like Japan to radically transform education in England. “Labour will bring reform into the classroom by learning from the Japanese system of lesson planning, known as jugyou kenkyuu.” This involves teachers meeting regularly to collaborate on the design and implementation of lessons. He continues: “Education in England has had years of reform to structures, exams and accountability measures. But the style of classroom teaching has changed little since Victorian times.” In Japan, teaching practices have changed markedly in the last 50 years, through a process of gradual, incremental improvements over time. Japan gives teachers themselves primary responsibility for improving classroom practice.” He highlights how participation in continual professional development, known as kounaikenshuu, is considered a core job requirement in Japan. Mr Twigg also points out that in England, teachers lead students through a series of steps to help them learn how to solve problems. In Japan the focus is on allowing students to develop their own methods for solving problems, through trial and error. Note particularly that in Japan, groups of teachers are allowed to make mistakes without being punished. When they succeed, their reward is not gold stars or special bonuses, but the satisfaction of seeing their ideas adopted by others. What do you think most motivates a teacher? No, not tenure. Being able to teach better. Seeing children’s eyes light up with understanding more often. What the psychologists call intrinsic motivation, not external rewards. What we need, then, is to change the culture around teaching, to allow teachers and students to succeed, not to straitjacket them in outmoded practices and ideology. GIVING a child a computer does not seem to turn him or her into a future Bill Gates—indeed it does not accomplish anything in particular. It then claims that advances in computer and cognitive skills by Peruvian schoolchildren don’t count if their scores on standardized math and reading tests didn’t increase. Neither claim turns out to be the case. The second is just self-contradictory nonsense. For the first, we need evidence. 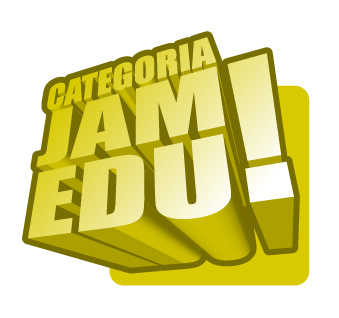 EduJAM! presented awards for the best Sugar activities. 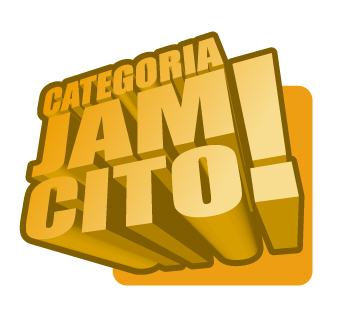 Although they were not singled out in any special way, the youth of Uruguay managed to walk away with six of the prizes. Congratulations to Christofer, Agustin, Daniel, et al. for your contributions. A tip of the hat to the adult contributors too: Flavio, Gabriel, Alan, Andres, and Alejandro. By my rough estimate, approximately 10% of all Sugar activities have been written by kids who grew up on Sugar. It would interesting to understand the phenomenon. But we must be doing something right. I have translated just enough of the Spanish for you to follow. I did learn that Christofer has been in an on-going dialog with Rosamel Ramirez, a teacher in Duranzo about his activity development. Their latest collaboration is JAMuliples. Good stuff. JAMultiples is a game where you click the multiples of numbers indicated. This includes many modules on particular aspects of Spanish language, literature, and culture, and whole courses. OpenCourseWare in particular is for college-level materials, while OER Recommender goes for the greatest volume and the broadest range, with more than 100,000 items. Here are two Spanish courses that stand out. The Foreign Service Institute of the US State Department developed courses for many languages, and placed them in the Public Domain, including textbooks and audio. They are now freely available on the Web. This site is dedicated to making these language courses freely available in an electronic format. This site is not affiliated in any way with any government entity; it is an independent, non-profit effort to foster the learning of worldwide languages. Courses here are made available through the private efforts of individuals who are donating their time and resources to provide quality materials for language learning. > may be the only choice if they cannot find enough existing open materials. Thank you for your work. I am in the middle of the FSI course, and can make good use of several of the other resources you listed. One Laptop Per Child and Sugar Labs have more than 2 million Spanish-speaking students using our XO laptops and Sugar education software. How does government work (or not)? These essays are intended to form the basis for a series of digital textbooks on civics for students in OLPC XO and other one-to-one computing deployments. It will of course be necessary to have others contribute, discussing the issues in their own countries, states, provinces, and localities. A lot of people in the United States claim that their individual vote doesn’t count for anything in elections, so why bother? This is of course an idea much promoted by certain political interests who do everything they can to motivate their own people to the polls, and everything else they can to discourage or prevent the opposition from voting. Today is not the day for me to discuss vote suppression tactics (gerrymandering, illegal purges of voter registrations, allowing election officials to serve in candidates’ campaigns at the highest levels, outright lies and crimes, shortening early voting periods, burdensome and discriminatory voter ID requirements, making it harder for the other side to register and vote in general, etc.) in spite of their great importance. Yes, we need to help individuals vote, and we need to address laws and criminal activities interfering with voting, not just in the US, but everywhere. But today, I want to encourage Americans to just go and vote on the issues. You do this every day, regardless. You vote implicitly for the interests of various businesses every time you spend money with them, or with others up or down their supply chains. 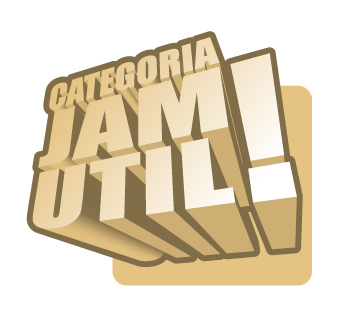 You vote by tuning in to television, radio, and Internet broadcasts and social media. You vote by participating in politics (formally, in the activities of party organizations or issue organizations, or informally, by speaking to your fellow voters or to non-voters, including children, as the case may be), or by not participating, as you choose. You vote by making the effort to be informed about the issues, or by not making that effort, or by relying on sources of misinformation, as you choose. You vote by reading history, or learning enough of statistics and Internet search techniques to tell whether you are being fed something like the truth, or utter rot, or by learning the language of any region of political significance, or by anything else you do to increase your understanding of the world and the people in it. In addition to all of that, you can vote explicitly on any number of issues at any time. You can sign petitions put forward by all manner of organizations, or propose petitions of your own, and you can vote on issues directly using the telephone, the mails, or electronic communications with your representatives in legislatures and administrations. You can vote on legal issues by supporting organizations that file lawsuits or amicus briefs in lawsuits brought by others, either against violations of law, or against unconstitutional laws. Keep the United States OUT of a war with Iran. We need investment at home, not another dumb war abroad. Lower the national debt by expanding the government’s use of Free Software such as GNU/Linux and LibreOffice. propose legislation that would make all federal election days national holidays to increase voter turnout. That’s not all, but it will do for the purpose. I should note that you can ask to see petitions by category, and you can search for particular words in petition statements. What would you like to tell the President, his advisors, his opponents, and the world? Don’t be shy. Don’t pretend that it doesn’t matter. Only a few hundred thousand people have voted there so far, so your influence is out of proportion to your number. And let any students that you come into contact with know that they can do the same, without having to reach legal voting age for official elections. I have created a new petition requesting Federal funding for a program to create Open Education Resources for all subjects at all levels, giving the reasons that readers of this blog are familiar with. We need 150 votes to get this to be visible to everybody on the White House Web site. Please vote, and pass it on. I’m off to Twitter, Facebook, Google+ and elsewhere to spread the word.